Despite the increase in popularity, Iceland has plenty of remote places where one can enjoy a combination of solitude and spectacular landscapes among wild and virtually untouched nature. 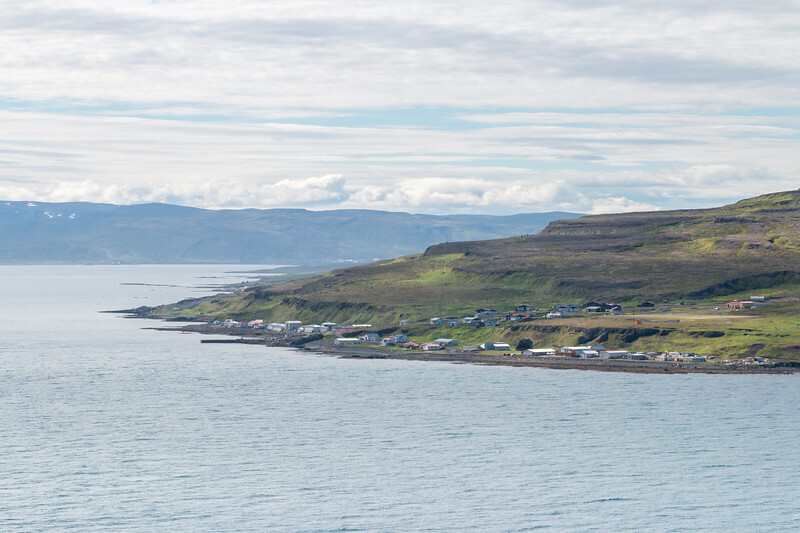 Djúpavík, on the Strandir coast along the eastern edge of the Westfjords, is the perfect example of a tiny settlement to visit if you want to escape it all. To put it into perspective, the rough dirt road 643 that connects this part of Iceland ends a few kilometers up the road. 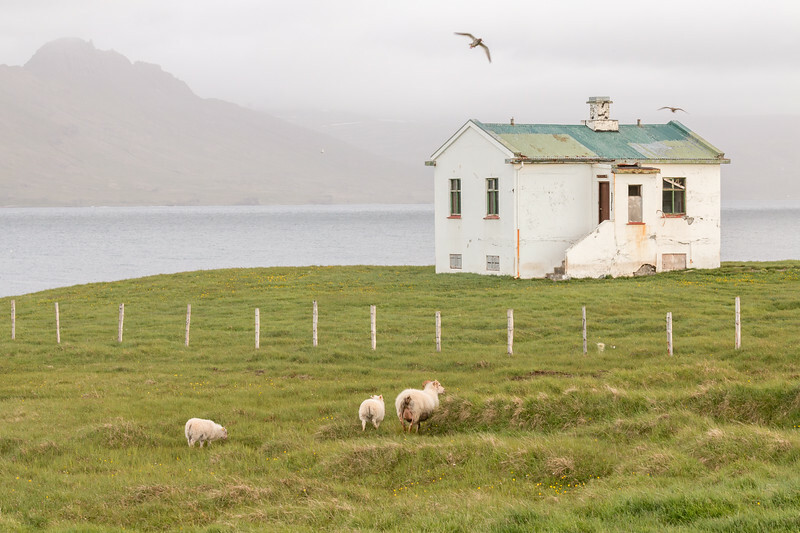 With a population of about 50, the municipality of Árneshreppur, of which Djúpavík and the northern part of the Strandir coast belong to, is a collection of tiny fishing and farming hamlets that have slowly been disappearing and many entirely abandoned. Yet, this area is very appealing and it’s easy to run out of words to describe its fjords, mountains, cliffs and rolling green hills. Remote, isolated, rugged, or dramatic are the ones that come to mind more often. 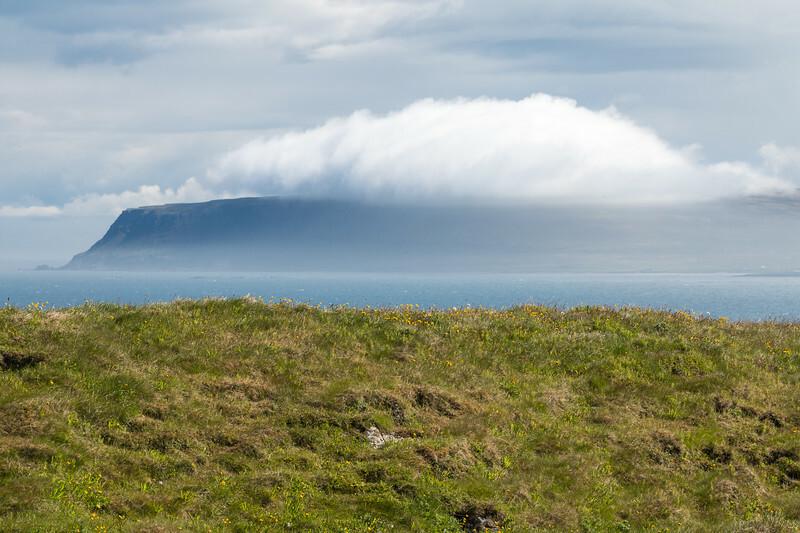 If you’ve heard about the Westfjords and thought of the region as extremely remote, you’re right. Only a small percentage of tourists get to travel there, but this particular area is the next level. It’s far from everything. 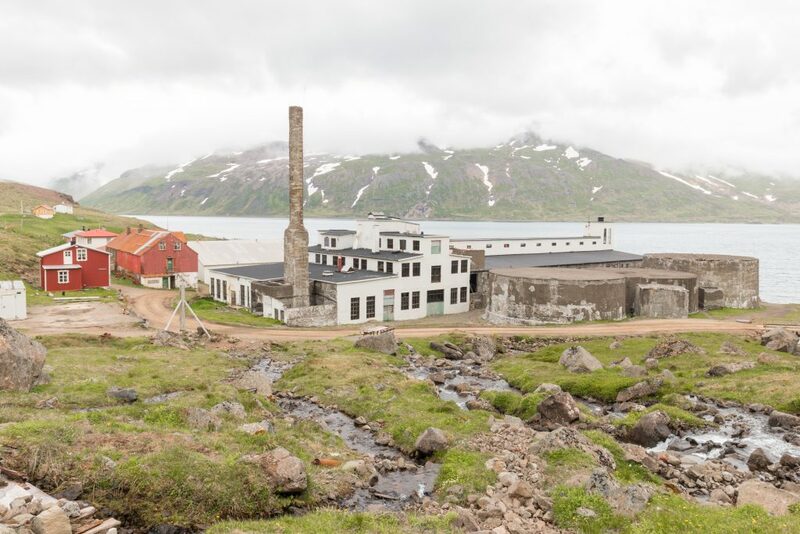 The rough and difficult access connected with the lack of infrastructure turns a trip to Djúpavík and the northern part of the Strandir coast into an adventure and, certainly, a great experience. Djúpavík is a tiny town on the Reykjafjörður bay, best-known for the fishing and herring factory that on its heyday brought hundreds of people to the region. This was a long time ago and lasted for about 20 years before finally closing down in 1954, leaving a massive concrete building and an empty small town. 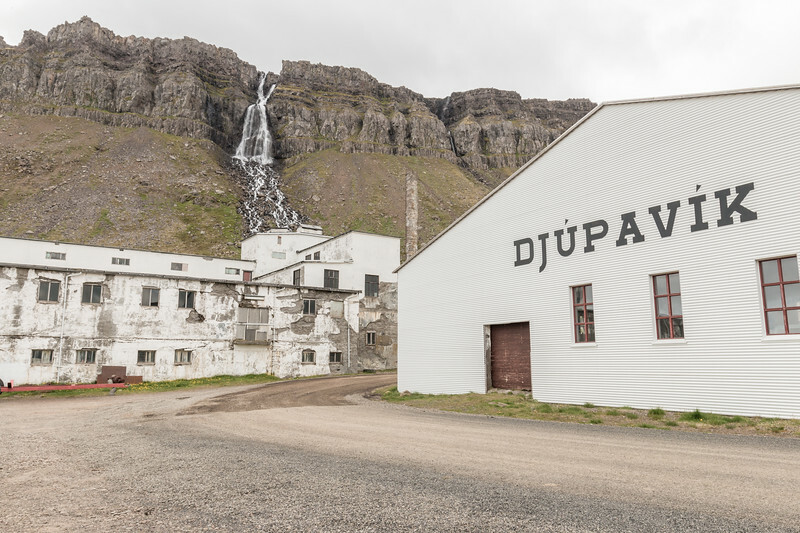 Flash forward to the 1980s when an Icelandic family bought the whole place and turned some of the buildings, including the former living quarters for women working in the factory, into a unique kind of accommodation – Hotel Djúpavík. The factory became a museum and, more recently, an art gallery. 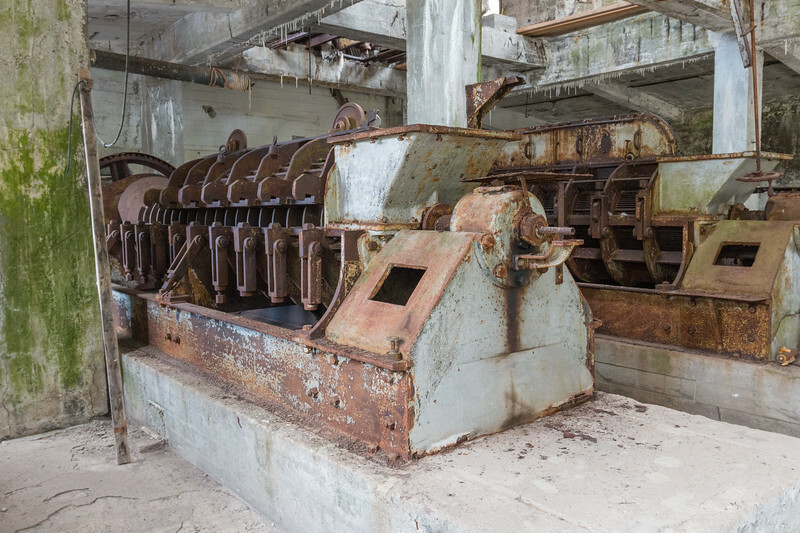 Nowadays, works in the buildings and in the factory slowly continue in order to improve the facilities of the hotel and to preserve the factory. The few travelers that venture here are helping this part of Iceland to come back to life. 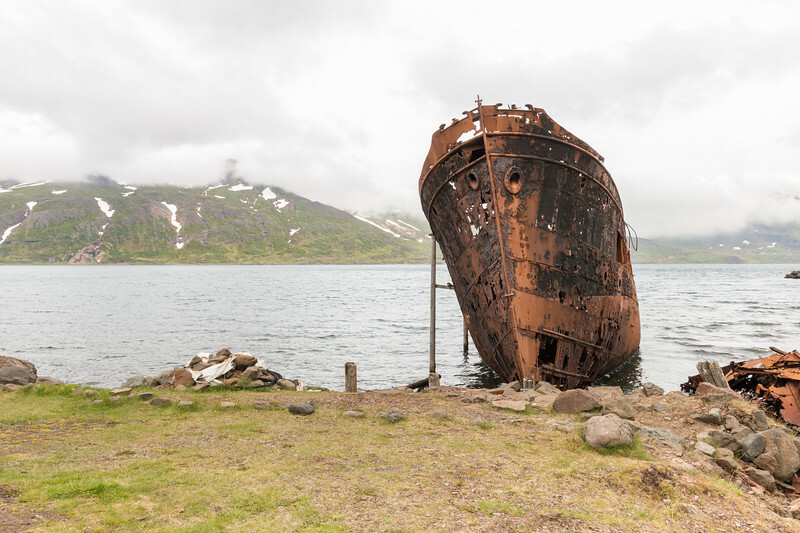 Don’t forget to take a walk to the waterfront for some amazing views of the bay, followed by the old rusty trawler ship, and, of course, Djúpavíkurfoss, the waterfall that overlooks Djúpavík. 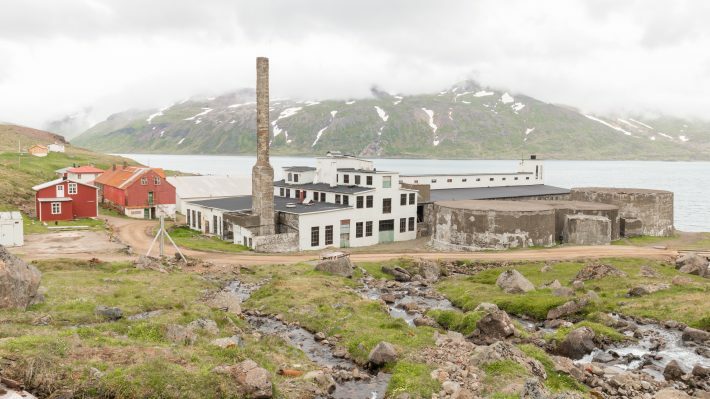 A guided tour of the old herring factory is a must if you’re staying in or passing through Djúpavík. It runs twice a day and you can sign up at the hotel reception. Tickets cost 1500 ISK. 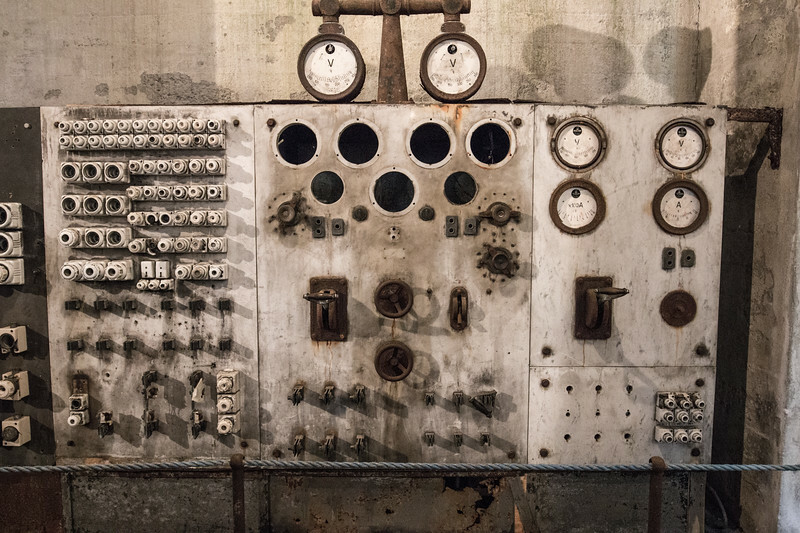 The tour goes inside the inner parts of the factory where the old heavy machinery lies and you can find out a lot about the history of the place and how things worked back in the day. 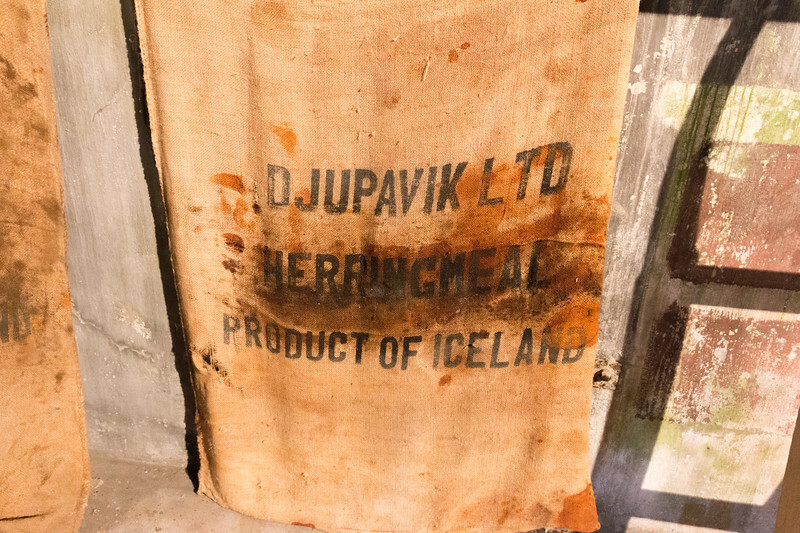 Our guide was the son of the owners, whose childhood was spent in Djúpavík, and he had a lot to share about the factory and how it was to save and preserve the place. Very interesting. 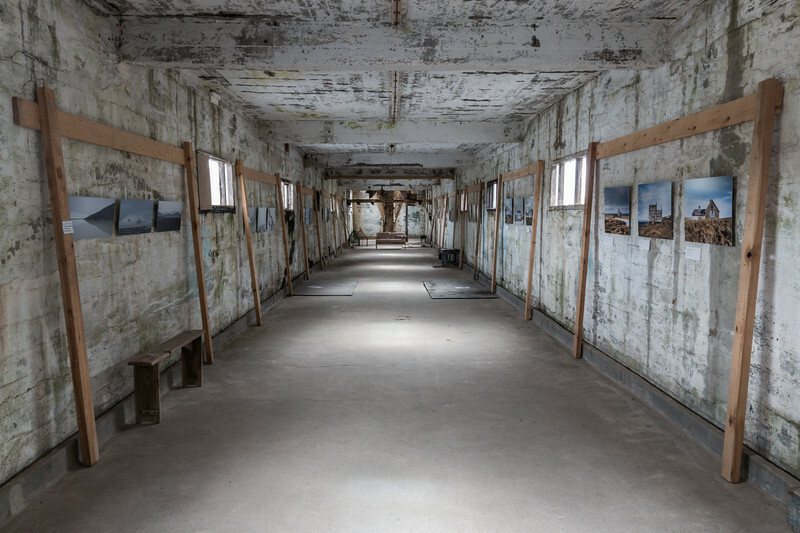 Other areas such as the gallery (which at the time had some nice photos of Iceland) and the silos are open and can be visited at any time before or after the tour. Not far north from Djúpavík is where inhabited Iceland ends. Road 643 terminates at Norðurfjörður and it’s pure nature from there on – the Hornstrandir nature reserve. But let’s go back on the road. 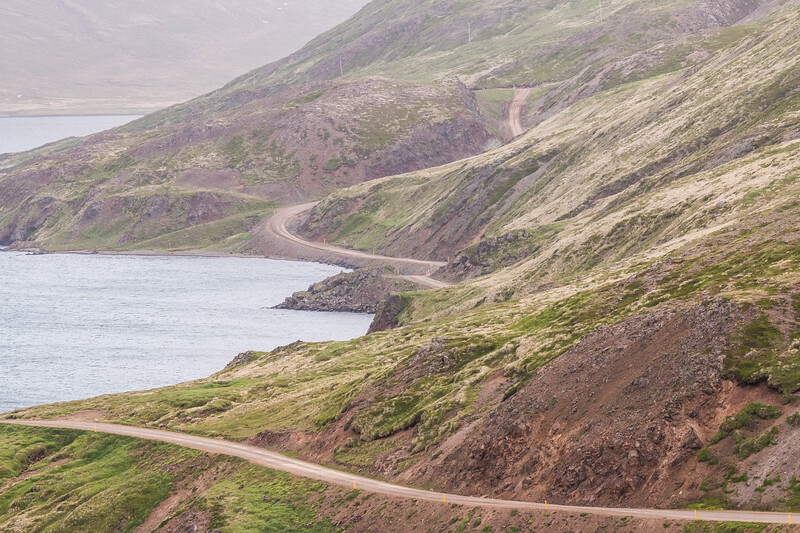 From Djúpavík to Norðurfjörður, the drive is one of the most scenic in the region and, probably, the country, with magnificent landscapes everywhere. 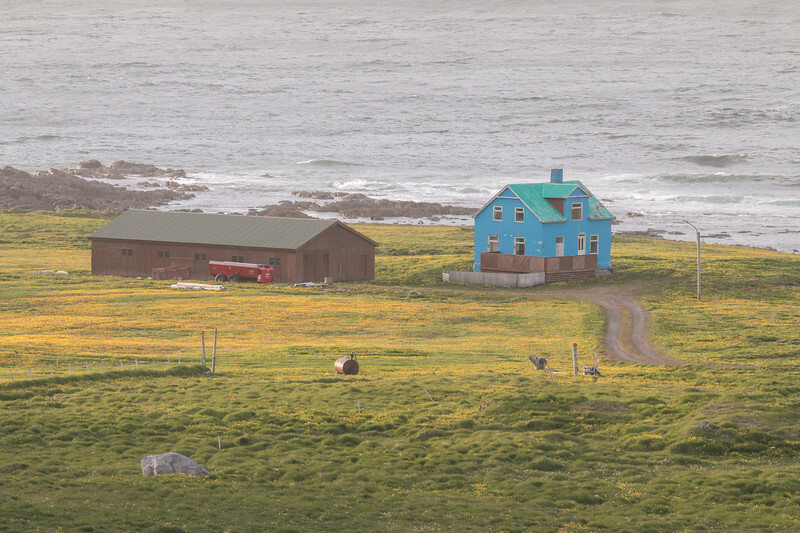 There’s not much in between except tiny fishing villages, some farms, an unbelievable number of birds, and you. Watch out for the Arctic Terns as they are very territorial and will try to attack you! One of the main stops is at Gjögur, a small partially abandoned fishing village where the only airport of the region is located, but there are many other places where you’ll want to stop to admire the views. 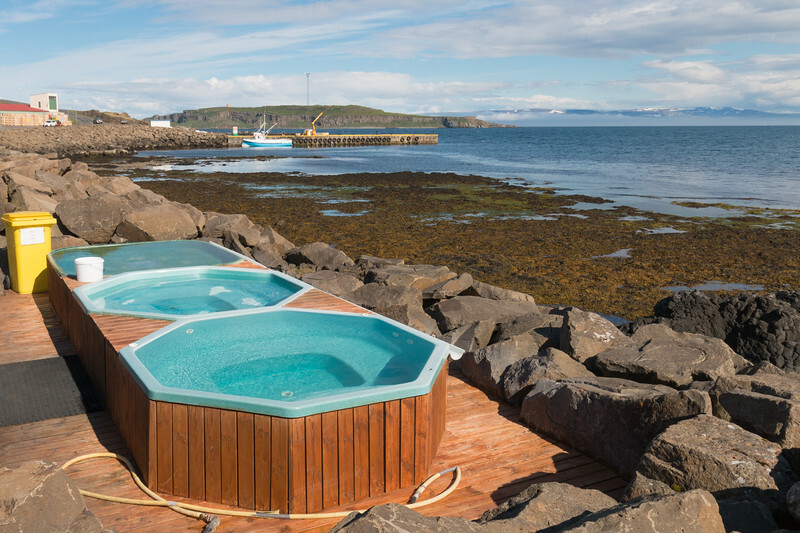 Once at Norðurfjörður, you have a restaurant and accommodation yet the highlight is Krossneslaug, a hot infinity pool overlooking the sea. Hornstrandir is Iceland’s northernmost peninsula and a nature reserve known for its true wilderness and excellent hiking opportunities. It has been uninhabited since the 1950s. Nature and outdoor lovers come here to see the magnificent bird cliffs and the Arctic Fox. Unfortunately, we haven’t made it to Hornstrandir as of yet but it’s high on our list for our next trip to Iceland. From the Strandir coast, you can reach Hornstrandir by boat which departs from Norðurfjörður. 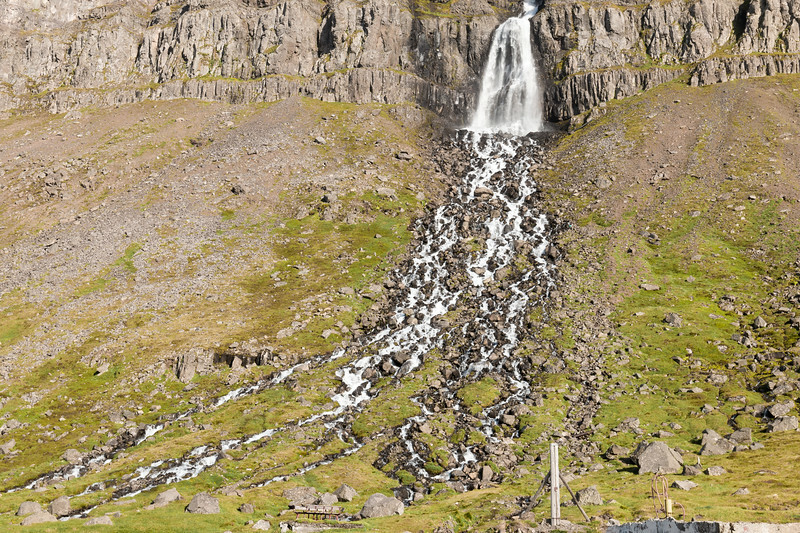 The most popular way to reach the nature reserve is from the other side of the Westfjords, from Ísafjörður. 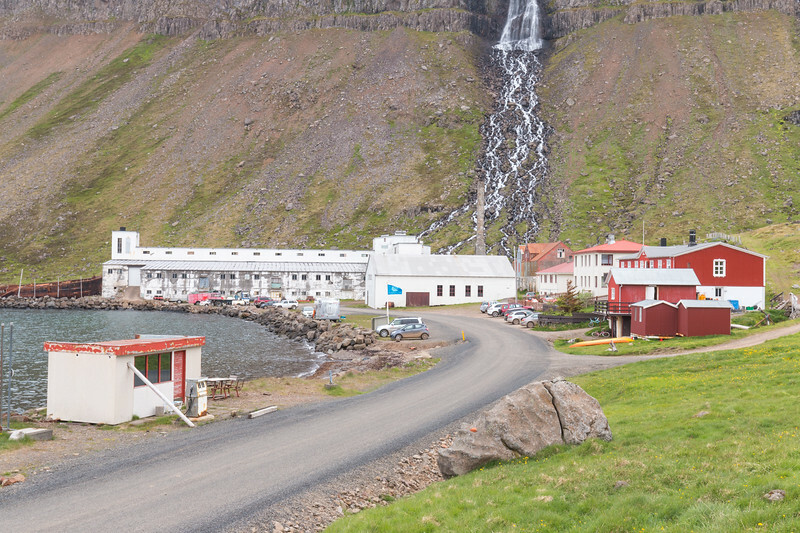 Drangsnes is a small fishing town of fewer than 100 people across the bay from Hólmavík and the perfect addition to a trip to Djúpavík and the northern Strandir coast. 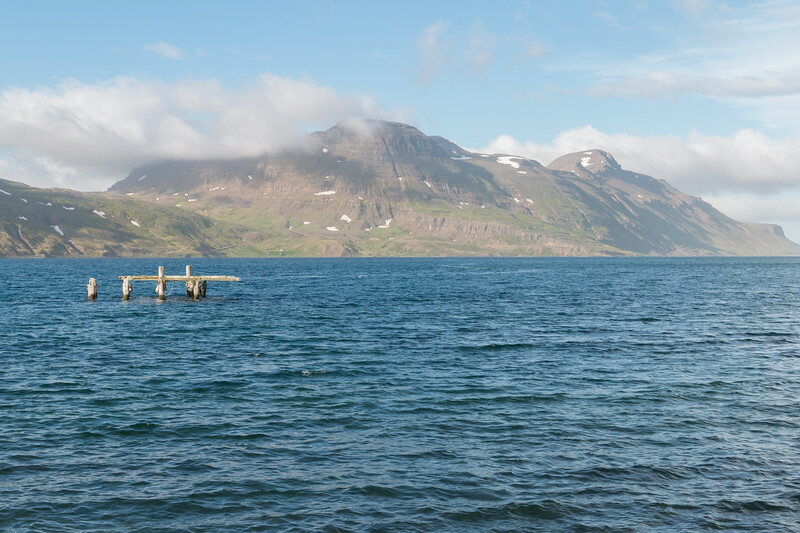 It can even be done just as a short detour from the main Westfjords circuit if you don’t have the time to travel up north to Djúpavík. This peaceful town is surrounded by incredible nature, namely the bird sanctuary island of Grímsey, which is only 10 mins away by boat. 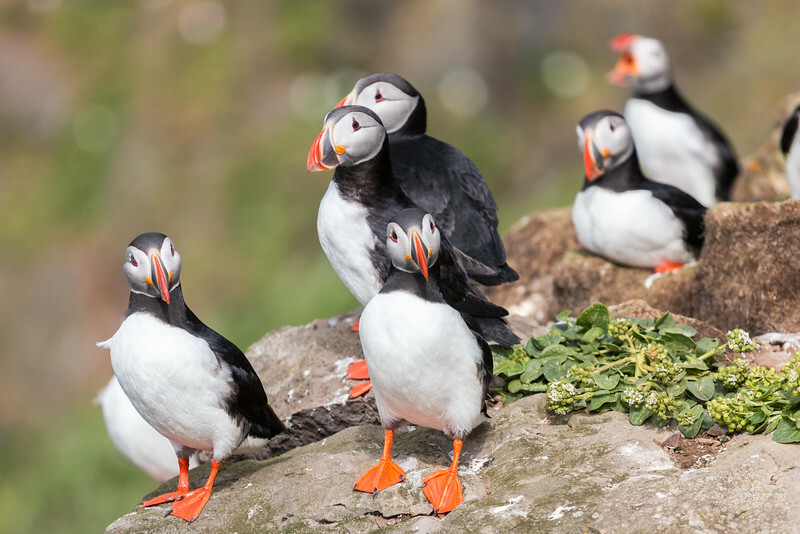 In the early summer, you can find thousands of puffins and other birds. It’s incredible and we highly recommend spending a couple of hours admiring the birds there. Another reason Drangsnes is known for is its 3 hot tubs on the shoreline. Probably some of the most scenic hot tubs you’ll ever see. Interested in finding out more about Grímsey? Read our article about Puffin watching in Iceland. Are you convinced to visit Djúpavík and the Strandir coast? There are plenty of things to see and do there but it’s important to be prepared due to the remoteness of the area. First of all, time of the year. It’s much easier to visit and explore during the summer, when the bumpy road 643 is open and you can easily, yet slowly, drive there with a small 4×4. Winter time trips are also possible but it gets more difficult to move around. Hotel Djúpavík is open throughout the year but winter travel is very specific and special arrangements are necessary. The main starting point for any trip to the Strandir coast is Holmavík. This small town is located next to road 61 on the way to Ísafjörður, the capital of the Westfjords, and just a few kilometers from the start of road 643. 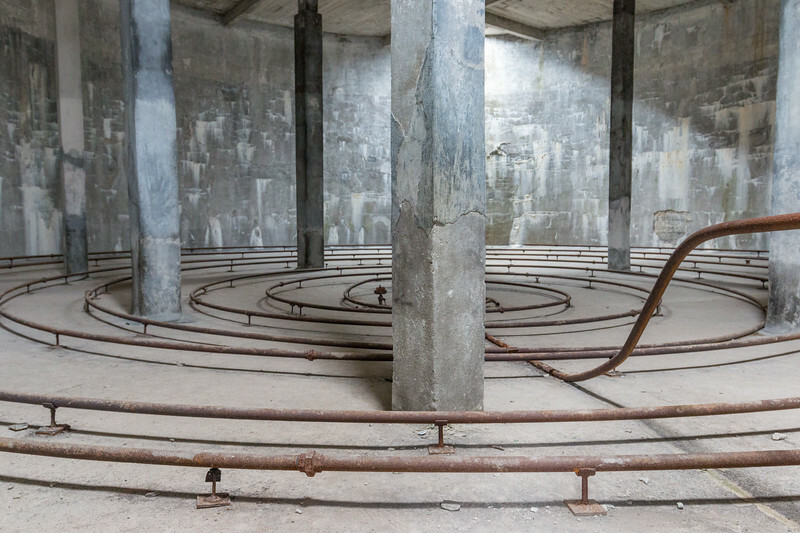 It has a gas station, supermarket, accommodation, and even a museum – Museum of Icelandic Sorcery & Witchcraft. You can also reach Djúpavík by air. The airport at Gjögur has 2 weekly flights in the winter and 1 in the summer, all from Reykjavík. It’s an essential link to this remote and often isolated area. Have you been to Iceland? Are you looking to travel further afield? Would you visit Djúpavík and the Strandir coast? It’s quite expensive (and going up) but well worth the trip! 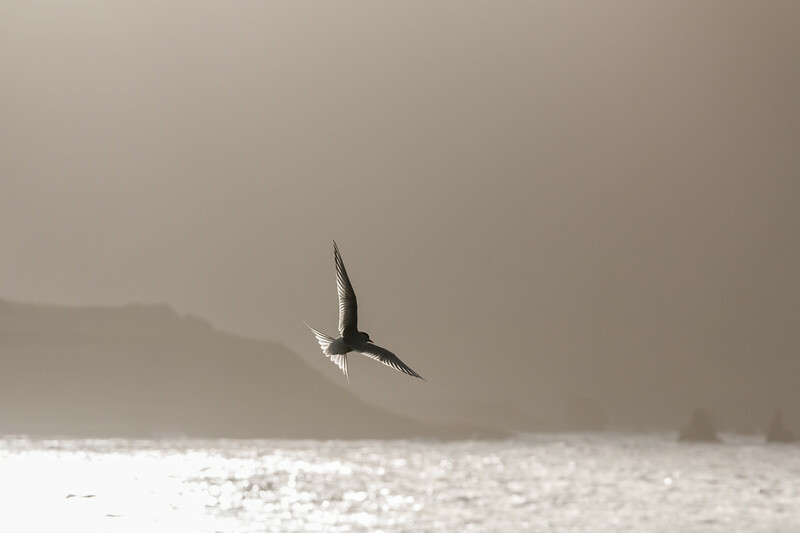 Beautiful picture of the Tern. I do want to visit Iceland! I have always wanted to see a puffin, so wonderful that you can spot them in this area! I will keep in mind though that the Arctic Terns are not so friendly and might attack. Can’t wait to visit someday! I love the rugged beauty of Iceland. Those hot pools look fabulous and your pictures are cool. Iceland has such stark, raw beauty; I love sometimes how the landscapes have miles upon miles of sea or mountain. Your photos slightly remind me of when I took a cruise through Alaska – the untouched beauty of nature and the vastness of the sea. Thanks for sharing! Thanks, Mark! Iceland is amazing but I’m sure Alaska is the same with pure and raw nature. Would love to go there! I have read a lot about Iceland that they make me want to teleport there! I love that old rusty ship! It tells a lot of stories. Oh! What a nice story. Must have a been quite nice! The raw nature bit is definitely what attracts us the most to Iceland. I was recently in Iceland, but stayed close to Reykjavik as I didn’t have much time there. I’d love to go back during the summer months and explore more of the remote areas. The landscapes look incredible and it’s cool to learn more about the history of the island. Plenty of places to venture to outside Reykjavík and the most popular nearby places. Djúpavík and the Strandir coast look so stunning. This is the first time I’m reading something offbeat about Iceland. Would love to venture here! There are lots of off the beaten path places in Iceland! Iceland is always full of surprises. I love how isolated this place feels and the animal sightings make it ever more special. It’s too bad you didn’t make it to Hornstrandir, I would have liked to see what the hiking was like! It’s great that you were able to get off the beaten path though. It made for a very nice read! Just came back from a 4×4 tour of the Westfjords, absolutely spectacular place. A woman approached me whilst I was setting up my tripod on the Strandir coast and begged me not to publish the images in any place that publicises the region. They simply don’t want the increase in tour buses along that single coastal road and the changes to their lives that will come with it. Glad you enjoyed your time over there. It’s a beautiful region! When I visited last year there was no one there and that’s what attracted me to visit not only this region but also others in Iceland. Access is rough and there are barely any infrastructures. While I understand that person’s concern, I don’t believe they’ll have tourist buses anytime soon. It’s so remote and the access so difficult (no road service in the winter! ), that it makes it highly unlikely. Also, I’ve read in a couple of places that the few people that live in the region (50ish) are ok with tourists because it helps the region to stay alive. The lack of income from other sources is a big problem.